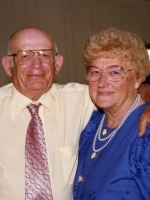 Betty L. Sparks of Plainwell, Michigan, passed away Saturday, June 28, 2014 in Allegan. Betty was born November 21, 1935 in Allegan to Alva and Anna (Babbitt) Hayes. She had worked for Wm. Crispe Hospital for 11 years and then worked for Parker Hannifin for 31 years retiring in 1998. In her leisure time she enjoyed flower gardening, wintering in Florida and playing shuffle board where she had competed in the Master’s Tournament in Palmetto, FL. 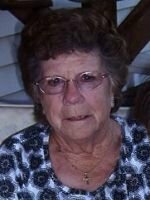 More than anything she loved spending time with her family and her grandchildren and great-grandchildren. On April 21, 1973 she married Birl Sparks who preceded her in death in 2013. Surviving are her children, Gail (Floyd) Harmon of Mendon, Gordon (Jackie) Stineback of Otsego and Sandra (Steve) Harmon of Allegan; 7 grandchildren and 17 great-grandchildren; her sister, Peggy (Paul) Boysen of Arkansas. Preceding her in death were her parents, her husband Birl and her step-father Bill Pearson in 2014. Friends may visit with Betty’s family from 2-4 and 6-8 P.M. Monday,June 30, 2014, at the Winkel Funeral Home, Otsego where a funeral service will take place at 11 A.M. Tuesday, July 1, 2014, with Mr. Mike Risner and Hospice Chaplain Greg Carlson officiating. Burial will follow at Oakhill Cemetery, Orangeville. 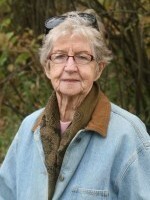 Contributions in memory of Betty may be made to the West Michigan Cancer Center or Wings Home. Mark E. Clark of Kalamazoo passed away Tuesday, June 24, 2014 after a long illness. Mark was born May 31, 1970 in Kalamazoo, the son of Edward and Linda (Boutain) Clark. 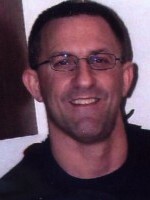 He was a graduate of Otsego High School and attended college. For many years, he was employed with Prab in Kalamazoo. He enjoyed race cars, motorcycles and fishing. Mark was a hard working father and loved being with his children. Surviving are his wife, Margaret; 3 children, Ryan, Telvin and Quinton; his parents of Otsego; 2 brothers, Michael (Lisa) Clark of Kalamazoo and their son, Brady, Wayne (Jennifer) Clark of Otsego and their children, Samantha and Mitchell. Friends may meet with his family on Saturday, June 28, 2014, from 10-11am at the Winkel Funeral Home, Otsego, where a service will be held at 11am, with Celebrant Laurel Marsh officiating. Interment will be at Mountain Home Cemetery, Otsego. Memorial contributions may be made to the American Diabetes Association. Barbara Cooley Michaels passed away Tuesday, June 17, 2014 at her home in Otsego. 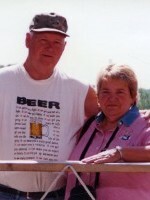 Barb was born June 16, 1932 in Otsego to Gerald and Minnie (Arendsen) Langeance. She worked for Farnsworth Chevrolet and Rock-Tenn. She was a member of the First Congregational Church of Otsego, the Golden Girls, Friends of the Otsego Library, Trustee of the Otsego Area Historical Society, Tuesday morning Bible study, Red Hatters and was very passionate about being head of the Thursday Homeless Quilters of the First Congregational Church. Barb enjoyed her morning walks with Brenda, quilting, the lakeshore, flower gardening, reading, knitting, sewing, and most of all her family and friends. Surviving are her children, Stephenie (Dave Makela) Nelson, Susan (Rick) Rickli and Michael Cooley all of Otsego; seven grandchildren, Chris, Josh(Lora), Jeremy (Kelly), Jason (Jessica), Jonathan, Rachelle and Matt; two great-grandchildren, Kayden and Aliahana; several grand pups; her sister, Maryln Langeance of Otsego; her brother, Scott Langejans of Kalamazoo; several nieces and nephews; and her step-children, Rita and Paul. 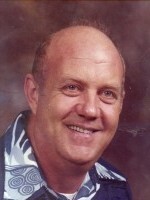 Preceding her in death are her parents; husbands, Lewis Cooley in 1973 and John “Jack” Michaels in 2004; her daughter-in-law, Cindy Cooley in 2002; her sister and brother-in-law, Joyce (Ray) Baker; and her brother and sister-in-law, Don (Jean) Langeance. Friends may visit with Barb’s family from 6-8 P.M. Thursday, June 19, 2014 at the Winkel Funeral Home, Otsego. A memorial service will take place Friday at 3:00 P.M. at the First Congregational Church of Otsego, Pastor Darrin Youngs officiating. Contributions in memory of Barb may be made to the First Congregational Church of Otsego Mission Fund, Friends of the Otsego Library, or to the Otsego Area Historical Society Museum. Aaron James “Jim” “AJ” Commissaris was born October 19, 1945 in Salem Township, the son of Abram and Henrietta (Kuiper) Commissaris. Jim served his country in the US Army during the Vietnam War and had worked for General Motors until his retirement in 1990. 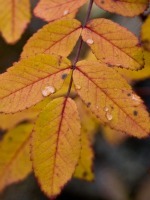 In 1987 Jim married Jacque Nulty Drobny and lived in the Allegan area. They were active members of the Allegan County Mounted Division where Jim served as Captain; he was also a charter member and President of the Allegan County Pleasure Riders for many years. 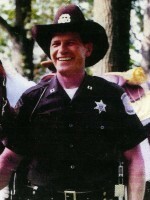 In 2009 Jim was given the Public Safety Person of the Year Award presented by the Allegan Area Chamber of Commerce. Jim is the brother of Cliff (Thelma) Commissaris, Jean (Roger) Kamphuis, Ron (Carol) Commissaris, Harriett (Jerry) Nickrent and Bob (Nancy) Commissaris; the father of Jamie (Jamielynne) Commissaris; proud grandfather of Trevor and Teagan Commissaris, Carly and Erica Drobny, Abigail and Emma Owens and Morgan and Chase Drobny; step-father to Chad (Sally) Drobny, Marni Drobny, and Matthew (Kelli) Drobny; he also leaves behind, Linda Commissaris, mother of his son Jamie, and many nieces and nephews. Jim was preceded in death by his parents, young sister, teen brother, and infant triplet grandsons. Jim’s passion was his family and his many friends, his horses and playing cards. No day was an idle day. Jim could always find something to do and someone to help. Jim’s life journey has ended. He will be missed and will always be more than a memory. Friends may visit with Jim’s family Wednesday, June 18, 2014 from 2-4 and 6-8 P.M. at the Winkel Funeral Home, Otsego where a funeral service will take place Thursday at11:00 A.M., Todd Meert officiating. Burial with Military Honors by VFW Post #3030 and a tribute by the Allegan County Sheriff’s Department Mounted Division will follow at Mallory Cemetery, Trowbridge Township on M-40. Contributions in memory of Jim may be made to Wings Home, Wings of Hope Hospice, or to the Allegan County Horse Leaders Association. Jeffrey W. Town of Otsego, passed away Saturday, June 14, 2014 in Plainwell. Jeff was born July 30, 1956 in Plainwell to Milo and Irene (Speicher) Town. For more than 12 years he worked as a tool and die machinist at Crescent in Allegan. He was currently the owner and operator of SweetTown Bar in Bloomingdale. In his spare time Jeff enjoyed Harleys, making quality beer and wine, fishing, spending time taking drives, dancing, hunting and his dog Katie who was like a child to him. Survivors include his 4 siblings, Pat (Don) Russell of Otsego, Sandy Scott of Allegan, Randy (Dianne) Town of Plainwell and Ann (Steve) Staley of Gobles; many nieces and nephews who Jeff was very close to as well as several great nieces and nephews, aunts, uncles, and cousins; his ex-wife Lauri, who has remained a close friend and his many friends from the bar. Preceding him in death are his parents and dog Katie. Cremation has taken place and the family will have a gathering for friends and family Saturday, July 26, 2014 from 3-6 P.M. at 1412 106th Ave., Otsego. Contributions in memory of Jeff may be made to American Diabetes Association. Henry VanDerMeer of Otsego passed away Saturday, June 14, 2014 at the Dussia House in Otsego. Mr. VanDerMeer was born June 28, 1930 in Otsego to William and Jeanetta (Boerman) VanDerMeer. He served his country during the Korean Conflict, worked construction for a few years and then worked at James River retiring in 1991. In his leisure time he enjoyed gardening and playing cards. Henry is survived by his sisters, Dorothy (Richard) Shattuck of Allegan and Luella Warner of Otsego; several nieces, nephews and cousins. Preceding him in death were his parents, a brother Louis VanDerMeer and sisters, Goldie Austin and Wilma Dalrymple. Friends may visit with Henry’s family from 10-11 A.M. Monday, June 16, 2014, at the Winkel Funeral Home, Otsego where a funeral service will take place at 11: 00 A.M. with Celebrant Bill Rose officiating. Burial will follow at Mountain Home Cemetery, Otsego. The family would like to thank the staff of Heartland Hospice and Dussia House especially Sally, Jessica and Chris, for the excellent care they gave Henry. Contributions in memory of Henry may be made to Heartland Hospice. Vivian Peterson of Otsego, MI passed away Wednesday, June 11, 2014 in Allegan. Vivian was born December 23, 1922 in Otsego to Owen and Maud (Pain) Sherwood. She was a 1941 graduate of Otsego High School and had been a cosmetologist for many years. Vivian attended the Otsego Baptist Church, was a member of the True Blue Class, sang in the choir and loved to play the organ. In her leisure time she also loved sewing, flower gardening, wintering in Florida for many years, camping and had traveled all over, including trips to Hawaii and Europe. On May 27, 1944 she was married to Harry Peterson who preceded her in death. Surviving are her children, Londa (Randy) Weaver and Larry (Kathy) Peterson; 4 grandchildren; 4 great grandchildren; and sisters-in-law, Grace Hobbs and Marie Peterson. She was preceded in death by her parents, her husband and a brother Mervin Sherwood. Friends may meet with Vivian’s family from 6-8 P.M. Friday, June 13, 2014, at the Winkel Funeral Home, Otsego where a Funeral Service will held Saturday, June 14, 2014, at 11:00 A.M., Pastor Timothy Beason officiating. Burial will follow at Mountain Home Cemetery, Otsego. In lieu of flowers memorial donations may be made to the Allegan County Medical Care Community. Wilbur A. 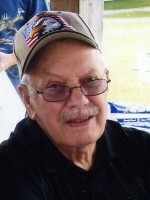 “Bill” Pearson of Plainwell, MI passed away Monday, June 9, 2014 at Alamo Nursing Home. Bill was born October 14, 1925 in Kalamazoo to George and Hazel (Milham) Pearson. Bill proudly served his country during WW II in the European theatre where he participated in the first penetration of the Seigfried line, the Battle of the Bulge, the liberation of the Colmar and battle for Rhineland. He retired from Allied Paper Mill. Bill is survived by his daughters Betty Sparks of Plainwell and Peg (Paul) Boysen of Arkansas; 9 grandchildren; 16 great grandchildren; 18 great-great grandchildren and his nieces Sue Parish and Jane Peck. Preceding him in death was his wife Anna; 4 brothers, Robert, Lewis, Cedric and Aubrey; 2 sisters, Jane and Margaret and a son-in-law Birl Sparks. Friends may visit with Bill’s family from 5-8 P.M. Thursday, June 12, 2014, at the Winkel Funeral Home, Otsego where a funeral service will take place at 11:00 A.M. Friday, June 13, 2014, with Hospice Chaplain Greg Carlson officiating. Military Honors by VFW Post #3030. Burial will follow at Mt. Ever-Rest Cemetery, Kalamazoo at a later time. Contributions in memory of Bill may be made to Wings of Hope Hospice. 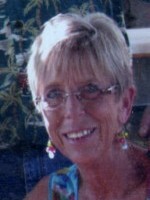 Diane Kay Reed of Martin, MI passed away Monday, June 9, 2014 in Kalamazoo. Diane was born June 1, 1947 in Toledo, OH the daughter of Theodore and Jane (LaCourse) Navarre. Diane loved her Lord; vacations with her husband and trips with her daughters and granddaughters; watching birds; her flowers and dog and collecting dolls but most important to her was her family especially her grandchildren. She had worked for several years at Laurels of Sandy Creek and had done daycare. On August 21, 1965 she married Clovis Reed who survives.Also surviving are her children, Lori (Dave) Deater of Otsego, Karen Boylan of Martin, Clint (Vanias) Reed of FL, Christina Henry of Martin and Dan (Rena) Reed of Martin; her mother-in-law, Madeline Reed; 11 grandchildren, Clay, Curt, Courtney, Madeline, Savanna, Ryan, Kevin, Lucas, Christopher, Marc and Janie Ray; 6 step-grandchildren; 8 great-grandchildren, Lauren, Brayden, Landon, Avery, Addison, Leeland, Jacklyn, Ryan Jr. and Memrie; her siblings, Marge Fields of Dorr, Sharon (Rob) Fincher of OH, Mary (Jim) Hadley of OH, Eva (Buddy) Sweat of FL, Rose (Chad) Branch of Plainwell & Teddy Navarre of FL; siblings-in-law, Clarence, Doug, Eric, Joyce, Donna, Wanda, Sue, John, Ken, Jerry & Ruth. She was preceded in death by her parents, a grandson Bobby, a sister Joyce, a brother Jerry and a son-in-law Mickey Torres. Friends may visit with her family from 4-7 P.M., Wednesday, June 11, 2014, at the Orangeville Pentecostal Church of Christ where a Funeral Service will take place at 1:00 P.M. Thursday, June 12. 2014 with Pastor Mike Risner officiating. Cremation will follow. Contributions in memory of Diane may be made to the Orangeville Pentecostal Church of Christ. Donita K. Miller of Plainwell, MI passed away Wednesday, June 4, 2014 at Borgess Medical Center in Kalamazoo. She was born September 15, 1949 in Des Moines, Iowa to Les and Marge (Latimer) Gideon. For many years she was a cashier at the Harding’s Market in Plainwell and had also worked as a hairdresser at many nursing homes in the area, primarily at Tendercare in Portage. In her spare time Donita loved to read, crochet, and work in her flower gardens. On June 14, 1993 in Kalamazoo County she married Gary Miller who survives. Also surviving are her children, Tammy Lown of Florida, Shane Drew of Allegan and Tiffany Stuart of Kalamazoo; 16 grandchildren; 2 great-grandchildren; her mother, Marge; and her siblings, Sue (Chip) Gardner and Rick (Becki) Gideon. She was preceded in death by her father and sister, Jean Bogue. Friends met with her family at the Winkel Funeral Home, Otsego, Sunday, June 8, 2014, beginning at 1:30 PM until the time of the funeral service at 3:00 P.M.